Australian PM Tony Abbott has announced that rescue crews have put no time limit on the search for the missing Malaysia Airlines plane. 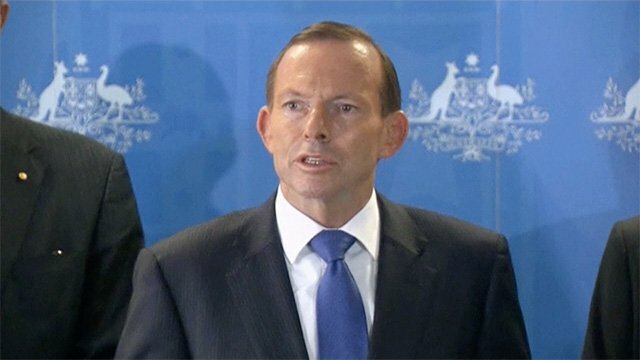 Tony Abbott told reporters near Perth, where the operation is being co-ordinated, that the hunt for flight MH370 was still being stepped up. Ten aircraft and 10 ships are scouring the sea south-west of Perth for debris from the airliner. Malaysia Airlines flight MH370 disappeared on March 8 with 239 people on board. The signal from its flight-data recorder lasts about 30 days. The search teams are deploying a special tool known as a “towed ping locator” to find the recorder, which will be used once debris from the plane has been found. Several floating objects have been found during the search in recent days, but none is believed to belong to the missing plane.